Min-implication fuzzy relation equations based on Boolean- type implications can also be viewed as a way of implementing fuzzy associative memories with perfect recall. In this paper, fuzzy associative memories with perfect recall are constructed, and new on-line learning algorithms adapting the weights of its interconnections are incorporated into this neural network when the solution set of the fuzzy relation equa- tion is non-empty. These weight matrices are actually the least solution matrix and all maximal solution matrices of the fuzzy relation equation, respectively. The complete solution set of min-implication fuzzy relation equation can be determined by the maximal solution set of this equation. Y. Luo, K. Palaniappan, and Y. Li. 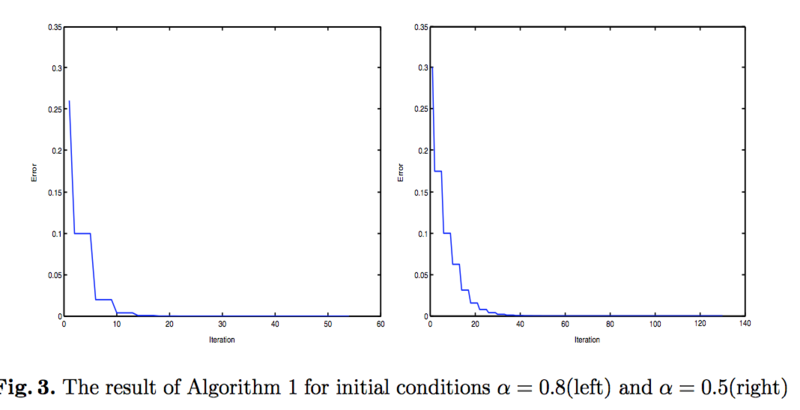 New algorithms of neural fuzzy relation systems with min-implication composition. Lecture Notes in Computer Science (Advances in Natural Computation), volume 3612, pages 1132--1141, 2005.